Do you have a complaint to make about a bank or other finance provider? You’ll be pleased to know that as of last Friday (1st November), making a financial complaint in Australia became much easier. 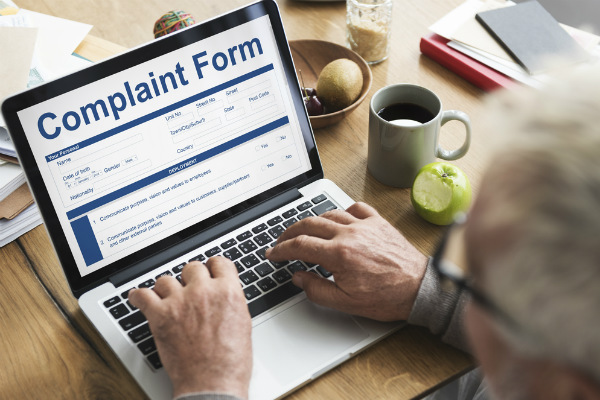 The Australian Financial Complaints Authority (AFCA) will streamline the complaints process by replacing the responsibilities of the Financial Ombudsman Service (FOS), the Credit and Investments Ombudsman (CIO) and the Superannuation Complaints Tribunal (SCT). David Locke, chief executive of the Australian Financial Complaints Authority, acknowledged that the financial sector has taken a hammering following the Banking Royal Commission and consumer confidence is at an all-time low. He went on to say that the AFCA aims to drive up standards and make it quicker, easier and cheaper for consumers to make complaints. “Our focus is on being much more proactive to reach out to consumers a lot quicker,” he said. It also hoped that the AFCA will be able to handle more disputes and reduce the need for litigation which is costly and time-consuming. Significantly, the AFCA is completely independent and operates as nonprofit. What Types of Financial Complaints Can I Make To AFCA? Before you make a complaint to the AFCA, it is recommended that you first attempt to resolve the dispute directly with the financial institution. All financial firms (including superannuation funds) are required by law to be a member of the AFCA and rulings made by the AFCA will be legally binding. How Do I Make A Complain to AFCA? Making a complaint with AFCA is easy. Simply fill in an online form (email and phone options are available) and your complaint will be registered and referred to the relevant financial institution. If the complaint is not resolved directly an AFCA representative will review the case. Make sure you read all the information on the AFCA complaint page to see what issues can be complained about and those that can’t be considered. Atelier Wealth offers a range of finance solutions to clients all over Sydney. We aim to educate and inform, working closely with you to help you achieve your financial goals. Talk to us today.